Berlin will always be calling, with its streets, shops, parks, bars, clubs, faces, museums, galleries, cinemas, squats, walls and under-or-above ground events. The newest inhabitants of Pankow are constantly feeling the pull of this siren´s song. As their activities in class intensify, they value every spare moment that allows them to plunge into the pulsating heart of the city. However, when the school sends you exploring, the fascination turns into a quest. From 1 October 2008 until 1 March 2009, National Museums in Berlin have organized their exhibitions around the generous theme of “Cult of the Artist”. This is designed with the character of each institution in mind and intended to visit the theme from various parts of the past to the present. We started with the “ending”, at the contemporary art museum Hamburger Bahnhof. The visit was an Installation Class assignment, but included other interested students as well. The direction pursued by Hamburger Bahnhof is “Deconstructing the Myth of the Artist”. Works of various media from the second half of the 20th century onwards were on display, taken from the vast Friedrich Christian Flick Collection. This immense body of artwork (around 2,000 works by ca. 150 artists) is being stored and presented by the museum throughout 2004-2011. Under the humorous title “I can’t just slice off an ear everyday”, a quote from the controversial artist Martin Kippenberger, the exhibition includes pioneers like Duchamps, Brecht, and the Fluxus movement, but also more newer, yet important names like Marcel Broodthaers, Bruce Nauman, Rodney Graham, Maria Eichhorn, Ugo Rondinione, Dan Graham, Sarah Lucas, Martin Kippenberger, Andrea Fraser, and others. It presents them in a variegated discourse about the role of the artist in modern times and aims poisonous critique at celebrated concepts such as art, art institution, artist, prodigy, genius, and taps into the gender-loaded connotations of being a creator. The entire show could also be a statement about being a curator and how much freedom a post-modern theme can offer. The ECLA group was gently ushered through the show by one of the museum guides for the first hour. Then, they spread out, each in pursuit of his or her personal favorites. The students were enticed to explore the 5 parts of the exhibition: Authorship, Image of the Artist, Context, Originality, Identity, and Masquerade. Students spent a considerable amount of time with the video pieces of young artists including Andrea Fraser and her 2001 „Official Welcome“ installation, in which she mocks the artificiality of appreciation speeches in art awards ceremonies. The audience is left with the crude closing remark “I am not a person today. I’m an object in an art work”. Equally entertaining and insightful was Christian Jankowski’s “The Matrix Effect” in which 6 year-old children fill the shoes of various artists and mimic the advertised glossy face of the art scene, in a short film about an art opening with an all-present curator. Upon exhausting this part of the museum, one is comforted by the entire foyer, dedicated to Joseph Beuys and his “everyone is an artist” worldview. 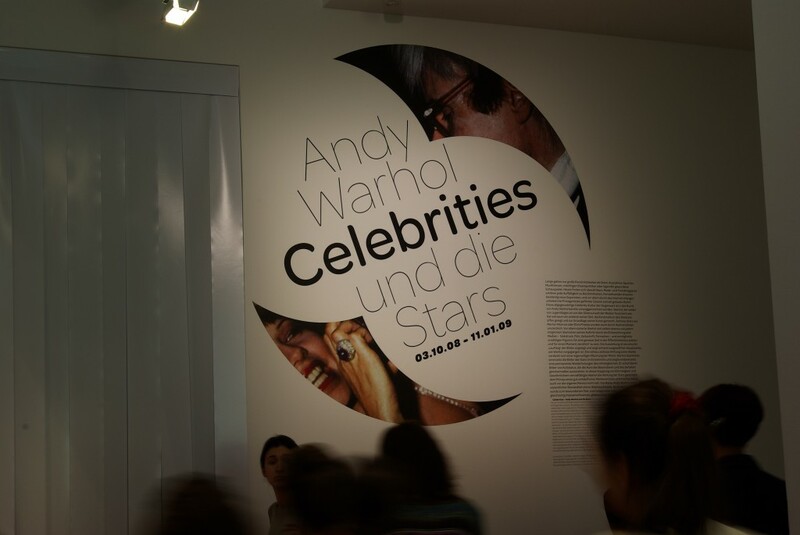 Further, the viewer can be easily seduced by the other show hosted by Hamburger Bahnhof, presenting the cult of the artist in relation to Warhol and his circle of celebrities.